If you walked into the Sweetwater in downtown Mill Valley on a Friday night during the 1980s or '90s, the tiny music venue would be packed. Patrons had to get there early to get a seat at one of the tables clustered close together next to walls plastered in photos and posters. It could only hold about 100 people, but big names including Bob Weir, Elvis Costello, Huey Lewis, Sammy Hagar and Carlos Santana were known to stop by. "You never knew who was going to come by and sit in. It wasn't announced. It was just there because it was the Sweetwater," said Roy Rogers, a blues guitarist who used to play and hang out at Sweetwater. 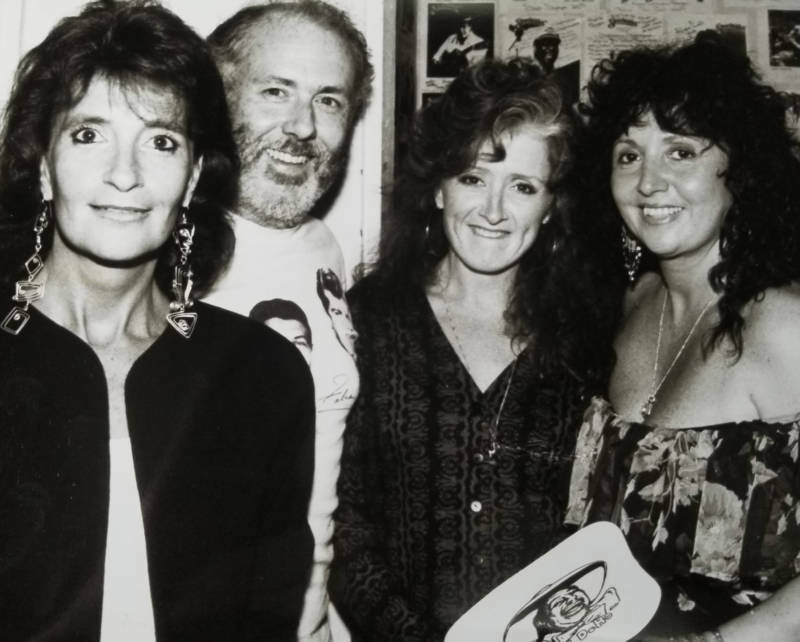 The woman who turned this tiny club into a magnet for top musicians was its longtime owner, Jeanie Patterson, who ran the club from 1979 to 1998 and died of cardiac arrest at the age of 75 in late February. 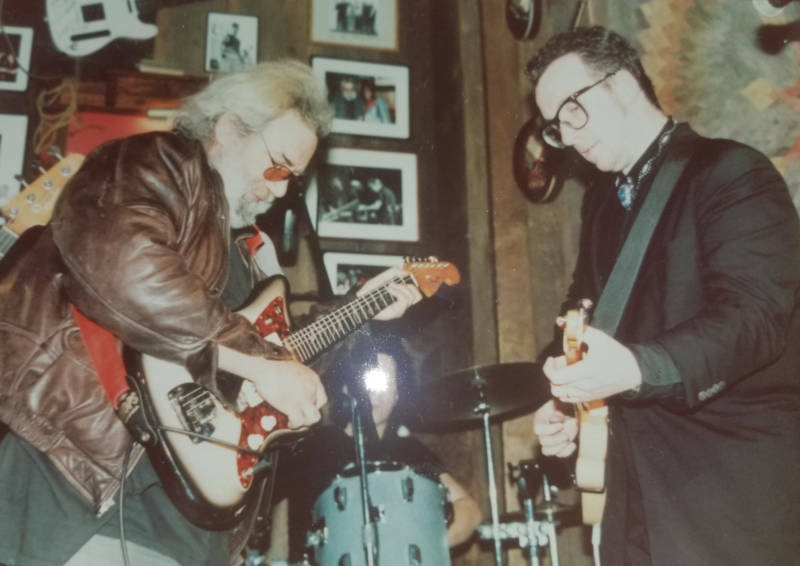 "It was a one-of-a-kind club that was run by one-of-a-kind person," said John Goddard, a friend of Patterson's who owned a well-known record store in Mill Valley. The original Sweetwater shut its doors in 2007, and a group of investors, including the Grateful Dead's Bob Weir, reopened the club at a nearby location in 2012. 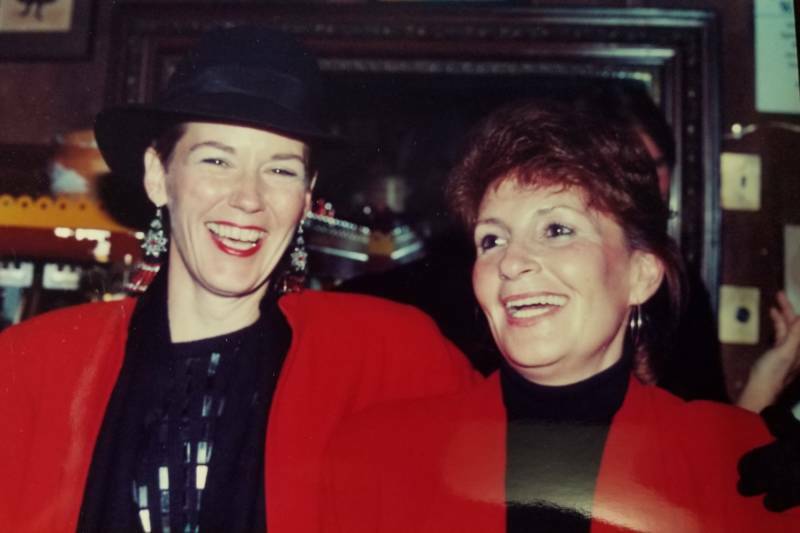 Patterson's sister, Mary Tatter, says her charisma brought so many famous musicians into the tiny venue. "I think they all felt that from her," Tatter said, "that she really cared about them, and she really cared about music and she was naive and they wanted to help her. And they fell in love with her like everyone has." But, according to Tatter, it never went to her head. "She was very special and very modest and didn't talk about all the people that she knew and had met," Tatter said. A lot of those musicians lived in or around Mill Valley, so word about Sweetwater spread. Patterson became friends with Weir, Bill Graham and many others. "Everybody knew about it. It was just one of those clubs," Rogers said. "You always knew the quality of the music would be great." 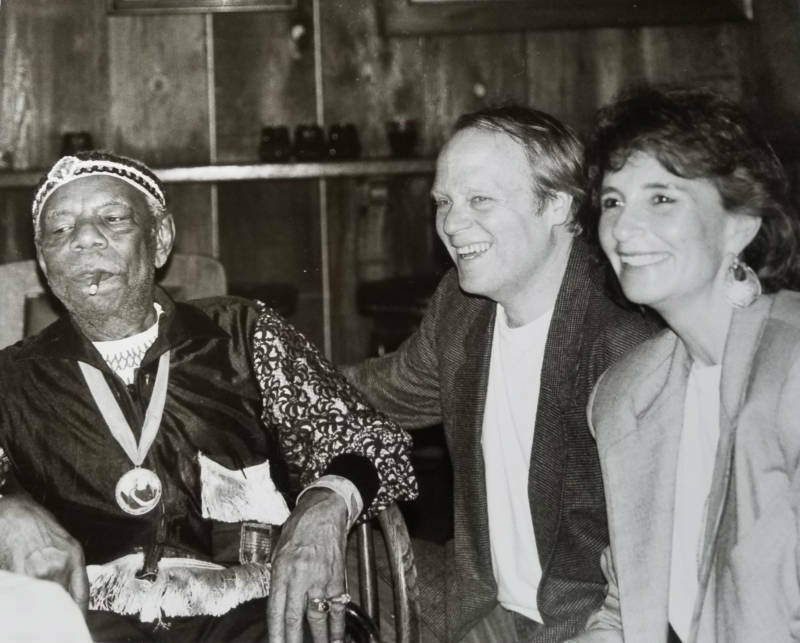 The Sweetwater became even more well-known and attracted even more talent when Patterson and Goddard, who owned Village Records in Mill Valley, teamed up to throw private parties at the club. Goddard said the idea was sparked one day when the two were going over a list of Patterson's favorite musicians, and she wondered if she could get Ry Cooder to play a club as small as the Sweetwater. Goddard suggested that maybe he'd play at a private party. Goddard and Patterson threw the party, and Cooder played. "And from then on we just we just took off," Goddard said. Elvis Costello told the Marin Independent Journal in 2006, the Sweetwater was the first venue he played in the United States. "It built the local music scene," Goddard said. "It turned Mill Valley from a place to live to a place to hang out." After nearly 20 years of running the Sweetwater, Patterson sold it to local entrepreneur Thomas Steere. Both her sons died suddenly within in a couple years of each other around that time, and she left Mill Valley. Goddards says the Sweetwater wasn't the same after that. He says Patterson's loving personality and the fact that she lived in the community gave the club a homey feel that most places in Mill Valley just don't have anymore. "It was certainly a representation of what Mill Valley was in the '60s, '70s and '80s," Goddard said. "There was a small town character that to me isn't there anymore ... Music was an integral part of our lives. And I think music has turned into the background now."